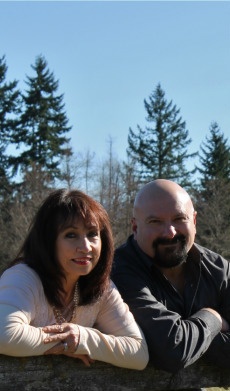 While attending Golden Gate Baptist Theological Seminary and pastoring a small traditional church in Northern California – God gave Stan & Rose Florez a heart for the Northwest. Upon graduation, they moved their family to Bonney Lake, Washington. In September of 1991, Stan and Rose invited their neighbors into their home to start a unique kind of Christian church where people with little or no religious experience could come and learn about God. As you can see, we are definitely not your ordinary Church! This is not by accident. Many people today are not active in a church home and have given up on traditional churches all together. Here at Club1 you will not find perfect people who pretend that all is well and everything is great. What you will find is REAL people, with REAL life situations, who are looking for REAL answers. The answers can be found in God’s written word, known as the Bible. We present the Bible in a way where anyone can clearly understand and apply God’s principles to their life. We strive to provide a warm and friendly atmosphere where you, your family, and friends can come to learn about God without feeling pressured. Our greatest desire is to share with you God’s love and introduce you to his son, Jesus Christ. If we can be of more assistance to you in answering any of your questions, please feel free to call or email our church office.